Your support plays a major role in deciding just how far we can take these campaigns. 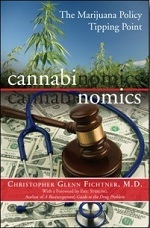 Please make a generous donation to support our campaigns in 2011. A tax-deductible donation to DRCNet Foundation will support our educational programs; a non-deductible donation to Drug Reform Coordination Network will support our lobbying work. Donations can be made online by credit card or PayPal,  and you can also use our donation form to print out a convenient form to mail in. Or, you can send a check or money order instead to P.O. Box 18402, Washington, DC 20036. Contact us for info if you are interested in donating stock. My Medicine , by Irvin Rosenfeld, tells his story as one of now only four patients in the federal government's medical marijuana program, and chronicles the history of medical marijuana as it's unfolded in the US to its incredible place today. Thank you very much for working to change this country's drug policies and for continuing to be part of StoptheDrugWar.org. And thank you for lending your support to our efforts at this important hour . Your contribution has never been more important. P.S. Every day that goes by, 4,000 people are arrested for drug offenses, the vast majority of them minor, and half a million nonviolent drug offenders languish yet another day in the staggering number of prisons and jails the government has very unwisely built. It's time to stop this senseless tragedy and shocking injustice. 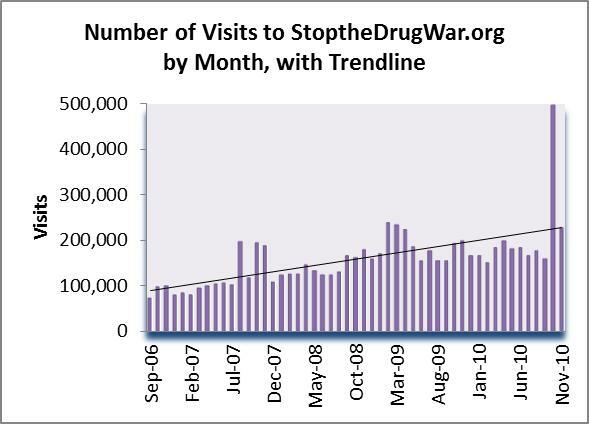 Please increase your commitment to ending the drug war by donating to StoptheDrugWar.org today. Thank you!